I have recently joined the Creative Economy team for a six-week research project entitled ‘A Creative Hub for Cardiff’. The aim of my project is to engage with members of the creative community and find out their needs and opinions. I began with initial desk research into creative hubs across the city region: what they can offer, the facilities they provide and why they are important to the wider creative economy. 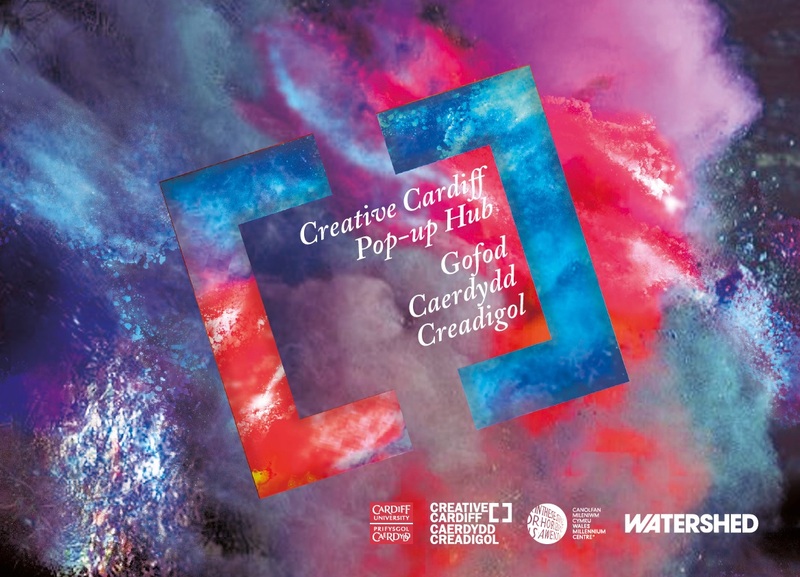 I think that the most exciting part of this project is the Pilot Creative Hub running from the 20-24th June at the Wales Millennium Centre (WMC). This is being organised by Creative Cardiff in partnership with the WMC and Watershed in Bristol. This pilot will bring together a variety of creatives from across the city region that will include freelancers, students, academics and individuals from creative businesses, arts agencies and stakeholder bodies. Having the opportunity to be at the Pop-up Hub for this week and engage with the community using it will enable us to improve our understanding of how creatives would use a more permanent space, what their needs are during this time and how we could create the most fit for purpose space in the future. My research will be supported by Dr Johann Gregory and the Creative Economy team. I will also be meeting with Dr Luke Sloan from the School of Social Sciences to discuss examples of creative research tools to engage with those using the hub in that week. I will be visiting a number of creative hubs across the city region to complete my research and gain first-hand experience of creative spaces. Aside from helping to support the ambition at Cardiff University to develop a creative hub, the research is important in recognising Cardiff as a dynamic and innovative city of culture. Cardiff plays host to many creative spaces, places, organisations and individuals. Creative hubs support the growth of this community and my research will contribute to the growing recognition of Cardiff as a place for creativity to flourish. I will keep you posted on what occurs as the hub is up and running and as I engage with those using it to further my research. Read Eleanor’s second post on the Creative Cardiff Pop-up hub and the final post on creative hubs.